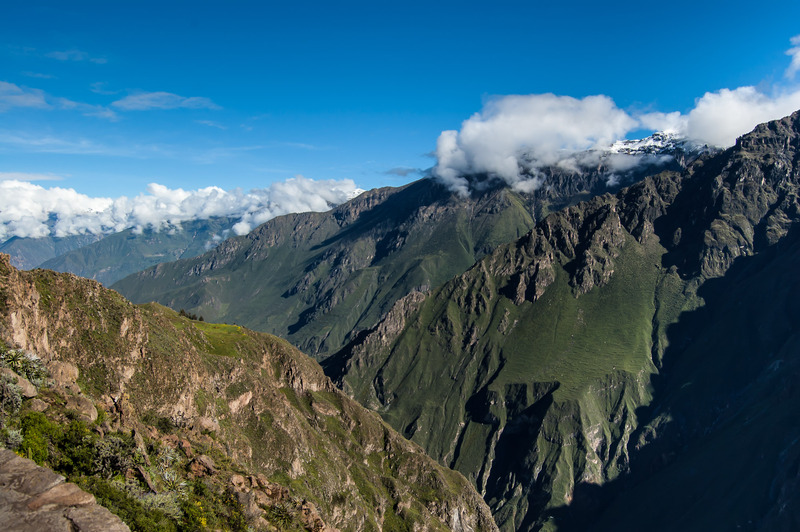 Early in the morning, after breakfast, start your trip to the Colca Canyon, visiting on the way Pampas Cañahuas, the Mirador of the Andes, the Crater of Chucura, the Mirador of Chivay, where pre-Inca Cultivation terraces may be appreciated. Arrival to Chivay to have lunch. Transfer to the hotel. In the afternoon free time to visit Hot Spring Thermal and Medicinal Baths (entrance fees are not included). After breakfast, very early in the morning the visit to the Condor’s Cross where we can see the profundity of the Colca Canyon and the spectacular flight of the majestic Condor. Return to Chivay to have lunch and then the drive back to Arequipa. Transfer to the airport.